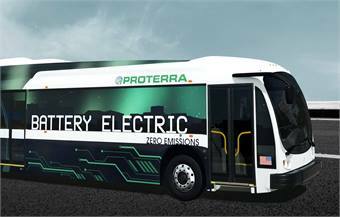 Leading EV transit bus manufacturer Proterra Inc. has selected Toshiba as the battery supplier for its next-generation, all-electric, zero-emission bus. Under terms of the agreement, Proterra buses will use Toshiba’s Rechargeable Batteries (SCiB™), a safe rechargeable battery solution with high-rate performance and long-life capabilities that is used in a wide range of applications, from EVs to grid energy storage. Proterra has led the way in creating the quietest, most fuel-efficient and environmentally sustainable transit bus on the market today, helping cities across the U.S. reduce their carbon footprints and improve quality of life for residents, according to the company. In addition to having nearly six times the fuel economy per kilometer/mile (when translated into conventional fuels) of a diesel bus and being a true zero-emission means of transport, Proterra buses feature a fast charge system that takes less than 10 minutes to charge during regularly scheduled route stops, making the buses well-suited to transit applications. The SCiB is part of a wide range of solutions designed to enable smarter communities. Leveraging expertise cultivated since the company’s foundation, Toshiba is committed to being a global leader in smart community solutions that enrich the quality of life for people throughout the world. The Toshiba Group has already participated in more than 30 smart community demonstration projects highlighting battery storage and cloud-based solutions for social infrastructure that satisfy the differing needs in developing and developed countries. With a wide range of experience and know-how acquired from the stable operation of social infrastructure over many years, Toshiba is confident in its ability to present more effective and more sophisticated solutions based on precise simulations and highly accurate predictions. Toshiba’s SCiB batteries have excellent thermal performance, enabling their high-rate charging capability, according to the company. The lithium-titanate chemistry contained in SCiB makes the batteries highly resistant to thermal runaway and lithium metal plating, providing exceptional battery safety characteristics. SCiB products also offer minimal capacity degradation and are capable of 10,000 or more charge-discharge cycles, depending on operating conditions. 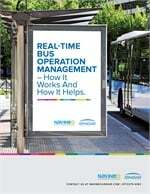 This operational life often exceeds that of the applications in which they are used, eliminating the need for battery replacement and reducing the environmental impact of waste batteries.